The idea behind the Paleo, or 'caveman', diet is simple - eat the food we humans were genetically and biologically meant to eat, as our hunter-gatherer ancestors once did, and we can all experience near-effortless weight loss, increased vitality and greatly improved health. But does it really make sense to restrict yourself to the limited range of foods available to our ancestors Although we share a lot in common with them, we each have our own genes, tastes and health goals. In this groundbreaking book, leading expert Chris Kresser offers his unique solution - a 3-step plan that will fit your body, your lifestyle and your specific health issues. Start by following the basic Paleo plan for 30 days and enjoy a satisfying diet of lean meat, fish, non-starchy vegetables, some fruit, nuts and seeds but avoid grains, dairy, sugar and refined foods. After this 30-day plan, Chris helps you re-introduce certain foods in moderation to find out what agrees with you and what doesn't. So what are you waiting for? You can enjoy life more, look slimmer and feel more vital. And because Chris advocates an 80/20 approach - we all have to live in the real world after all - you can still enjoy your favourite treats from time to time. In addition to dietary advice, the plan also includes guidance on fine-tuning your sleep, exercise and response to stress - all crucial elements in living a life that suits our natural design. 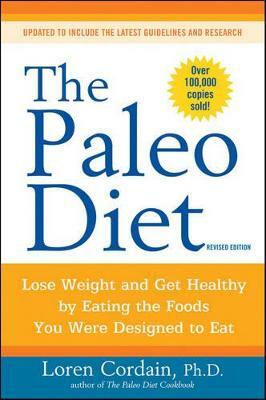 Buy Your Personal Paleo Diet by Chris Kresser from Australia's Online Independent Bookstore, Boomerang Books. Eat to meet your evolutionary design and you'll see that extra weight - and those niggling health problems - disappear for good. Customise it to meet the needs of modern living and your individual needs and you have a truly effective, doable diet for long-term health. 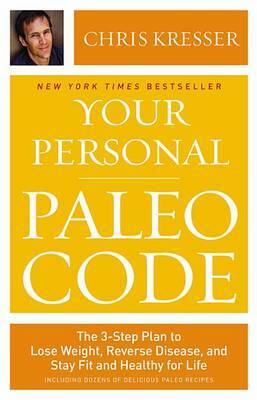 The idea behind the Paleo, or 'caveman', diet is simple - eat the food we humans were genetically and biologically meant to eat, as our hunter-gatherer ancestors once did, and we can all experience near-effortless weight loss, increased vitality and greatly improved health. But does it really make sense to restrict yourself to the limited range of foods available to our ancestors Although we share a lot in common with them, we each have our own genes, tastes and health goals. 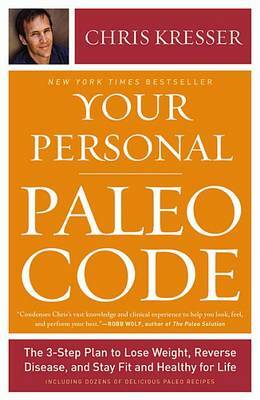 In this groundbreaking book, leading expert Chris Kresser offers his unique solution - a 3-step plan that will fit your body, your lifestyle and your specific health issues. 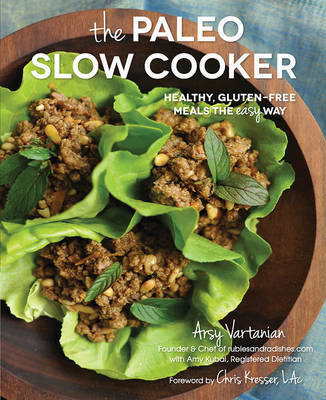 Start by following the basic Paleo plan for 30 days and enjoy a satisfying diet of lean meat, fish, non-starchy vegetables, some fruit, nuts and seeds but avoid grains, dairy, sugar and refined foods. After this 30-day plan, Chris helps you re-introduce certain foods in moderation to find out what agrees with you and what doesn't. So what are you waiting for? You can enjoy life more, look slimmer and feel more vital. And because Chris advocates an 80/20 approach - we all have to live in the real world after all - you can still enjoy your favourite treats from time to time. In addition to dietary advice, the plan also includes guidance on fine-tuning your sleep, exercise and response to stress - all crucial elements in living a life that suits our natural design. Chris Kresser is an integrative medicine practitioner with a private practice in Berkeley, California, and patients around the world. He is a regular health columnist for The Huffington Post and the creator of the popular blog ChrisKresser.com (over 400,000 monthly visits) and the 'Revolution Health Radio with Chris Kresser' podcast (130,000 monthly downloads), which challenges mainstream myths on nutrition, health and disease.